While economists and analysts have been talking of the slowdown, particularly in Western Australian, Minerals Council of Australia NT executive director Drew Wagner said it is a different picture in NT, the ABC reported. “We’ve got massive opportunities right now,” he said. “We are on the cusp of so many great projects, so many development and so many expansions. 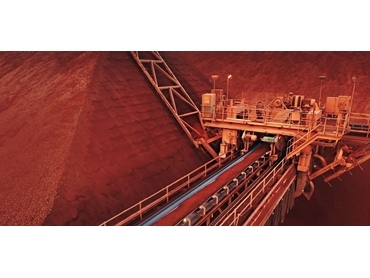 The global Fraser Institute ranked the Northern Territory above Western Australia for the best area in which to mine and invest. The institute measures the attractiveness and ease of mining. 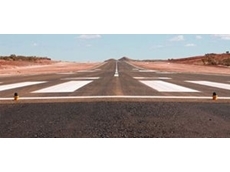 The Territory’s mining minister Willem Westra van Holthe said it is the government’s approach to mining and resources rather than mineral potential which gave the Territory its ranking. A $300 million development of Darwin’s port is at the top of the list for the export industries in northern Australia, according to Infrastructure Australia. Wagner agrees and believes governments and the industry has to focus on getting Darwin a new port or port expansion soon. He believes mining companies could assist with new ports or port expansions in Darwin. He said this would depend on mineral prices and project finances. He added mining companies have already constructed ports, roads and other infrastructure in the Gulf and other areas of NT. West Australian mining company TNG is pursuing a vanadium, iron and titanium venture, north-west of Alice Springs. 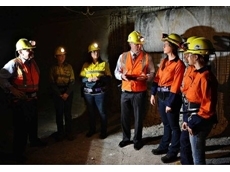 It has made a submission to the Australian Securities Exchange for its Mount Peake mine. The mine will generate around $13 billion over 20 years, according to the company. But statistics from the latest Sensus Business Index indicated business confidence in NT for the May quarter dipped four percentage points. The Chamber of Commerce and Industry said NT’s economy as a whole is erratic. CEO Greg Bicknell said other than the resources sector, the economy is looking gloomy, especially in regional areas.